Nicole Brooks is an MBA candidate at the University of New Hampshire. Just when you think that Amazon offers it all, they keep surprising their customers with more unbelievable plans and ideas to better improve our lives. With a mission “to be Earth’s most customer-centric company, where customers can find and discover anything they might want to buy online, and endeavors to offer its customers the lowest possible prices,” Amazon continues to be innovative in an effort towards a bright future. For example, Amazon was an industry leader with the introduction of 1-day shipping, shifting consumers to expect this new luxury as the standard. In the previous three year’s first quarter financial statements, the company has experienced a decrease in their growth rate: approximately 30% during the first quarter three years ago and down to 20% in the first quarter of last year. This has pushed Amazon to begin considering alternative paths of business if they want to continue experiencing growth. As such, they have started to diverge into the services industry and have developed a platform that is used to match buyers and sellers for essentially all types of goods. and the announcement of Amazon Destinations. 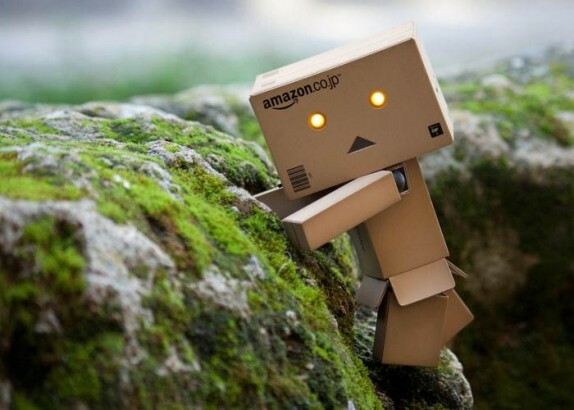 For the 2014 holiday season, Amazon put their new Kiva robots to work. Over 15,000 were placed inside the US fulfillment centers to “make operations more efficient” during the expected high volume holiday rush. They essentially eliminated the need for people to walk through the aisles to collect the necessary items for a shipment. The Kiva robots are programmed to know the placement of items within the shelving system and bring forth the shelf with the next needed item for the packers. The company’s forward looking decisions are based on Amazon’s future vision for what the industry leader could do next to make itself stand out. Despite being turned down by the U.S. Federal Aviation Administration (FAA) in the early months of 2015, Amazon still fully intends to be able to deliver packages to customers utilizing their developed and tested drone technology. The video that can be viewed through the Amazon Prime Air webpage provides customers with an idea of what the drone would look like and what the process would be from the order being received at the warehouse to the package being delivered to someone’s doorstep. Amazon has named this drone delivery service “Prime Air”. Prime Air has the goal and potentially the capability to offer customers 30 minute delivery. Yes, within a 30 minute time span from receiving an order Amazon wants to process it and be able to deliver those items. Of course, there would be a high premium associated with this, but it would minimize the need for companies to have to make purchases ahead of time, which for small companies, could be very beneficial for their bottom line. Currently, drones are being tested and allowed commercially in Canada as well as a handful of European countries. In Canada, for example, drones are only subject to be used when it is light outside, the weather is good, and the controller can keep the drone in his/her sight. Amazon formally introduced the Home Services platform to their website last month. This platform essentially is set up in the same manner as their goods and products platform, however instead of being shipped a product at the end, the customer is booking a service, such as plumbers, electricians, TV installation services, etc. This platform allows customers to look at the various offerings and to more easily compare different businesses and contractors based on the value that they perceive the service would ultimately be providing. The different home services, similar to a typical Amazon offering, will also have comments and rankings to help distinguish the variety of offerings. In light of the increasing “do-it-yourselfer” trend, Amazon has opened a distribution channel for those seeking high-tech electronic components and parts. In the past, these components would be bought directly through suppliers, authorized distributors, or various parts catalogs. Amazon, which caters to those who prefer to do their shopping online, has expanded their offerings with the Amazon Business platform. Consumers have the ability to create business accounts with multiple user access, set-up and utilize an approval system, and can qualify for free two-day shipping, among other benefits. With this specific addition, Amazon is expanding their platform to further cater to information technology and electronic industries, creating more of a reason for businesses to consider Amazon a one-stop shopping destination. Also recently announced, Amazon will begin offering an Amazon Destination platform for customers to quickly and easily be able to compare local hotels for a getaway. This is not yet currently available to customers, but once it is, similar to the offering above, will give shoppers an all-encompassing inside look at what the various hotels in the area have to offer as far as rate and amenities upfront. At this stage, Amazon is a mature company with a well-developed online shopping platform coupled with industry-leading delivery and logistics offerings. Now with the expansions into service offerings, Amazon has proved that there is no limit to what they can do. Their steps have been logical and it only makes sense that they now spread their platform to consist of more things everyday consumers are looking for. We can already get any item imaginable through their website, why not any service. As the service offerings expand, it would not be a far stretch to say that in the coming years we will be able to plan weddings, book vacations around the world, and even possibly compare medical procedures through Amazon.com. It’s difficult to accurately predict what Amazon will be doing fifteen years from now, but whatever they are doing, will mostly likely continue to shape consumer expectations and impact the surrounding business and consumer markets in ways we had not thought of beforehand. Interesting. Why not compare lawyers, construction/interior decorators, universities, schools, hospitals among a few and offer customers as a one stop search engine? Why only limit to online shopping? The more I read, the more I love Amazon.